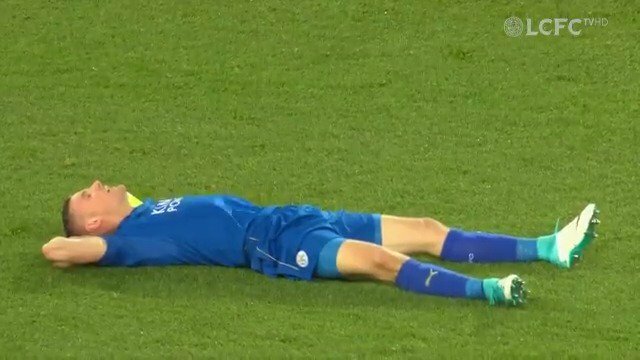 Tielemans in the first half, then Vardy before Huddersfield got one back. Madison from a free kick and Vardy from the spot brought the three points home. Can't complain. Score line reflects our superiority. But we did switch off and a better side than them (they were dire) would have punished us. Didn't watch but listened to "Strings" and "Pipes". Sounded like a stroll, honestly. Am I going to get my hat trick? We've had a hard cruising day and I only switched the radio on as Huddersfield got the penalty. Did seem in the balance for a while but class showed in the end. If you read the pre match thread you'll see that I called for 4...WITHOUT REPLY...I'm disgusted frankly. Rodgers out. I missed the majority of that. How was Soyuncu? He gave away the penalty. But I hear it wasn't one? And nearly a goal, an atrocious pass, only but for poor finishing. Soyuncu is young and is still learning but I do fear he's going to be one of those error prone players. I thought the penalty was a harsh call, especially as the player was going away from goal but, yes, an incident in the area so always likely to be given. Very unlucky to do so though. Apart from that he was very solid and looked good but will be good to see him against better opposition before the end of the season. Pretty comfortable throughout really, Kasper did have to make a few saves but never really looked in doubt as we always looked capable of scoring every time we went forward. It is frightening to say it but I think we would have struggled to beat Huddersfield with Puel at the helm. Thats how poorly he had us set up.